Snrky: Remind me again how many software projects you've overseen? Remind me again how many software projects you've overseen? It's probably wrong to judge one's ability to do their job based on how they pronounce a particular word, but I'd like to believe there exists a line at which one's inability to 'talk-the-talk' should be enough of a red flag to prevent its being crossed. Unfortunately, we tend not to even see the line until it's too late. 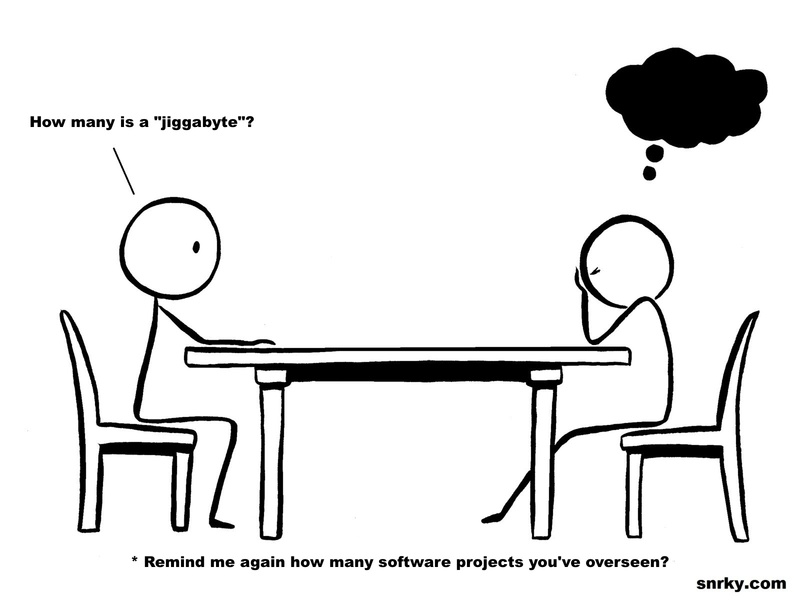 Title: Remind me again how many software projects you've overseen? Snarky: How many is a "jiggabyte"?